This day in history even as the lethal ‘Spanish Flu’ or influenza was decimating the German army they German High Command under Ludendorff was making plans for a new offensive. The Germans were planning on using all of their resources in one last ditch attempt to win the war. Their previous offensive the Spring Offensive had proved a costly failure. The Germans had emerged as the victors in the east after the Soviet Revolution. They were drawing men from the East to fight in the west. Hundreds and thousands of troops were moved from the east by train and sent to France. The German High Command believed that the new reinforcements from the east would tip the balance in their favor. They ignored the impact of the Spanish Flu epidemic on the rank and file German soldiers and decided to proceed with the offensive. The final plans for the last great German offensive had been finalized on the 11th of July. The soldiers fighting for the Central Powers, Germany and Austria-Hungary, were hit especially hard by the Spanish Flu. This was due to the fact that they were malnourished and more susceptible to disease as a result. However, the German High Command did not factor this into their calculations for the last offensive. The Germans had to gamble on this last great offensive as they were fast running out of resources. They had managed to neutralize Italy, defeat Romania, contain Greece and had taken advantage of the Soviet Revolution to make themselves the dominant force in Eastern Europe. However, the western allies continued to fight and with American manpower and material had become increasingly powerful. The Germans needed to win a great victory in the west or else the Americans would tip the balance against the Central Powers. They had also grave concerns that the Austro-Hungarians would seek a separate peace. Despite the effects of the Spanish Flu the Germans had no choice but to go ahead with the attack. They were frankly becoming desperate. The German home front was on the verge of crisis. The country’s population was starving because of an allied naval blockade. The Great German offensive was launched on the 11th but after some early successes, they Germans were halted. The attack was led by the feared ‘Stormtroopers’, this was an elite fighting force and they were renowned for seizing trenches and fortifications. They Germans also used tanks and poison gas. The German attack on July 15, near the Marne River in the Champagne region of France, met with a resounding failure. The French, British, and the Americans had simply too many men and resources and not even the Stormtroopers could not break through the allied lines. 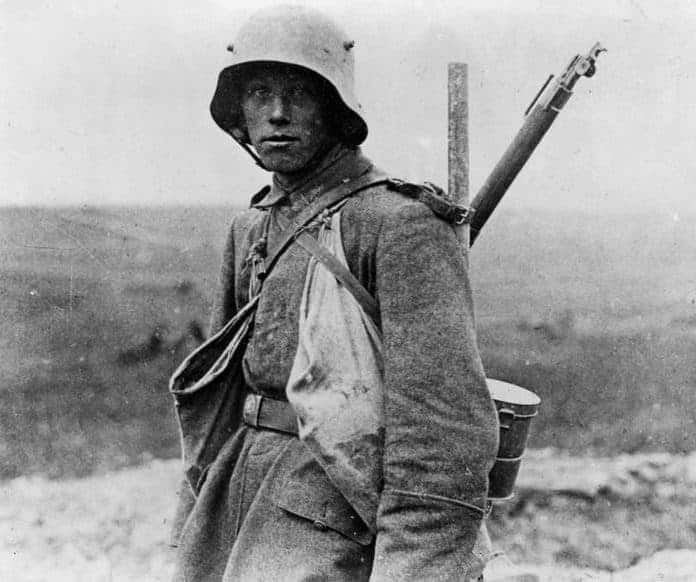 It would be the final German offensive of World War I and in the following weeks, the Allies would launch a counter-offensive that would bring the Germans to the edge of defeat.